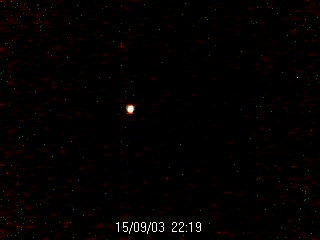 Mars at 36x magnification, with the webcam on 'low light boost' and 'colour boost.' 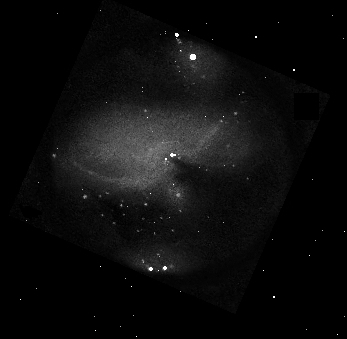 I then removed the blue from the picture, to correct the colour shift somewhat. 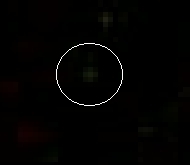 This is a portion of the above picture enlarged. 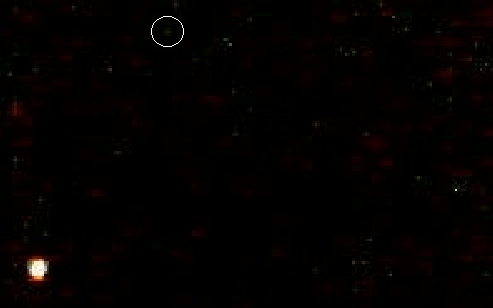 It's great to see the number of stars in the shot, most of which cannot be see throught the telescope with the eye alone! 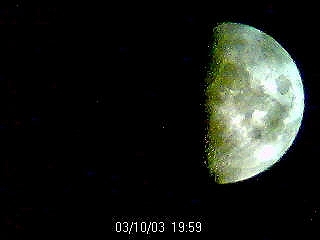 This one was taken at 11:30pm on 11th October 2003, using a camera held up to the eyepiece. 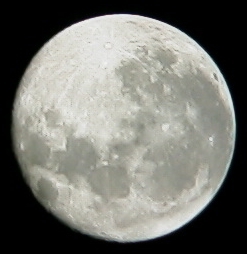 It's the best of about 20 that I took - a lovely full moon that night! I've left the picture 'upside down' so to speak. 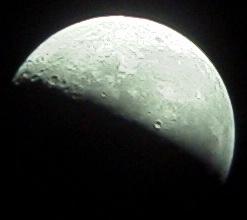 36x magnification. Philips ESP2/00 camera. Another shot - 6:45am on 19th October 2003. Getting the camera lined up took ages! 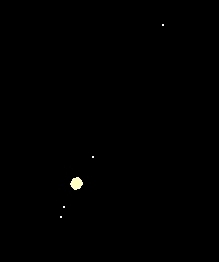 I saw Jupiter and it's moons, but couldn't get a shot for the previous reasons! Very clear sky, but a bit cold!! Next on my list was Jupiter. 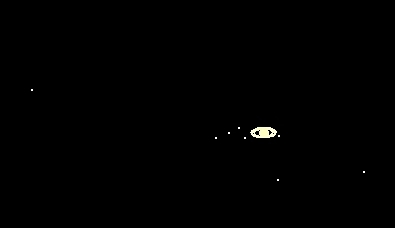 Couldn't see any details of the planet - I need a colour filter I think, but the moons were very clear.